From the hilariously funny Harold and Kumar series, Kal Penn moves on to the more serious Bhopal: A Prayer For Rain, his first Hindi film. 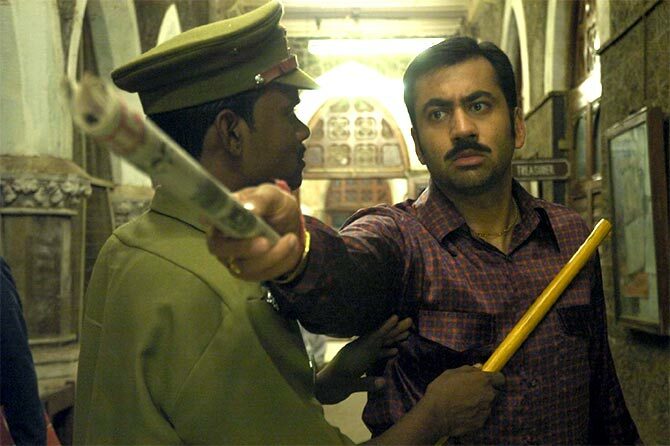 Also read: Part II of the interview -- Kal Penn on his India stint, and dhoklas! It momentarily floored popular actor Kal Penn (born Kalpen Suresh Modi), when he arrived at a press gathering in Mumbai last month, ahead of the December 5 release of Bhopal: A Prayer For Rain. “I don’t know what to say. I would need to be more informed!” he laughed it off. On first meeting that’s what strikes you about Penn. He’s friendly. A positive kind of guy. Easy-going. Affable. Very, very funny. Lots of smart, comical lines (that make great reporter copy), and delicious, self-deprecating humour. And he’s not floored by much, it seems. Penn had to be an actor quick on comebacks and turnarounds. How, otherwise, could he have pulled off acting in Bhopal, his latest, a Hindi film, possessing no Hindi? Actually, when Penn learned of an opportunity to act in an Indian film, he was kicked. Even more delighted were his New Jersey-based parents. The actor began prepping for his role, by himself, in Los Angeles -- studying the script sent him two months before the shoot by director Ravi Kumar, getting into the character (he plays a journalist named Motwani, “a ridiculous, larger than life character,” he says, who becomes another person after the Bhopal tragedy) and gearing up for a shoot in Hyderabad (where the film was being shot), a place he had never been to before. His visits to India -- though frequent -- had been mostly confined to meeting relatives in Mumbai and Gujarat and eat-as-many-Dhoklas-as-you-can-type holidays apart from shooting for Mira Nair’s The Namesake in West Bengal and Agra. So, Bhopal -- about the 1984 industrial disaster that struck the city, which, he says, Americans surprisingly still know very little about -- was going to be a different kind of test. It turned out be a much more enormous challenge than Penn had imagined. He flew to Hyderabad some time in 2010 to attend the first rehearsal. “We were just reading through the script. I read the first scene. The director looked at me and said, ‘Achha abhi Hindi’. “I said: ‘I dunno, man, the script you sent me was in English’. 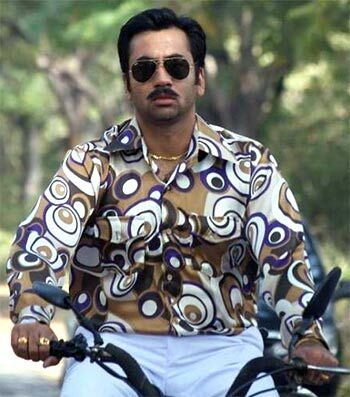 And that’s how Kal Penn came to act in a Hindi film without knowing Hindi. You knew some conversational Hindi through studying it in college? And fellow actor Rajpal Yadav helped you? I knew some. But it is weird. There is a difference between watching a Bollywood movie, with subtitles, where you get it and whatever you don’t get you can pick up. There’s also a difference from speaking off the cuff. Like I am fluent in Gujarati, conversationally -- probably fifth-grade level -- but enough, conversationally, that if you drop me off somewhere in the middle of Ahmedabad, I could get around and would know what is happening. With Hindi, it is a little different. If you don’t speak it regularly, it is a steep learning curve. But what makes it easier is that if there are script and lines you can really focus on. So, it is not necessarily conversational. You are not thinking in Hindi. You are still thinking in English, even though you are speaking Hindi. Rajpal was really helpful with all of that and helping obviously with the dialect and the accent. But also helping me get rid of my nerves. It was awesome. That was why it worked. I was like, this is cool. We can’t communicate with each other unless we speak in Hindi. This is good. He helped certainly with getting comfortable with the language, but also instilling the confidence. He said, ‘Look, your confidence in your character should not be broken just because the language has changed’. I appreciated that because in a sense he was right. I had spent months preparing for this character. Nothing changed about the character, except the language which is a big thing. But the way he kind of broke it down, it was like ‘Don’t lose sight of the fact that you are still prepared to play this character. You have done your research and you know who this guy is. Right’. Image: Kal Penn in Bhopal: A Prayer For Rain. It must have been a big emotional thing to have now actually acted in a Hindi film? And when you add language to that mix -- and this is why I am curious to see how audiences react to it -- if you can believably enter a world that is not authentically yours and be believable in it... That’s one of your goals as an actor and that’s the kind of storytelling I want to be able to pull off. So how did your parents react when they knew you were coming to India to shoot for a Hindi film? They were excited, very excited. I had only shot here once before, for The Namesake. They were excited I was coming back and getting to work here.